Samsung SRF714NCDBLS The fridge, freezer and convertible 4th smart door use 3 independent cooling systems for optimal control of temperature and humidity in each compartment. There is plenty of room in this fridge to entertain, even when friends drop in unexpectedly. An Easy Big Door Bin lets you safely store larger items inside the door. It can handle bulky cartons of milk and juice and two rows of drinks cans and bottles. The Samsung SRF714NCDBLS Refrigerator was added to the Refrigerators category in May 2018. 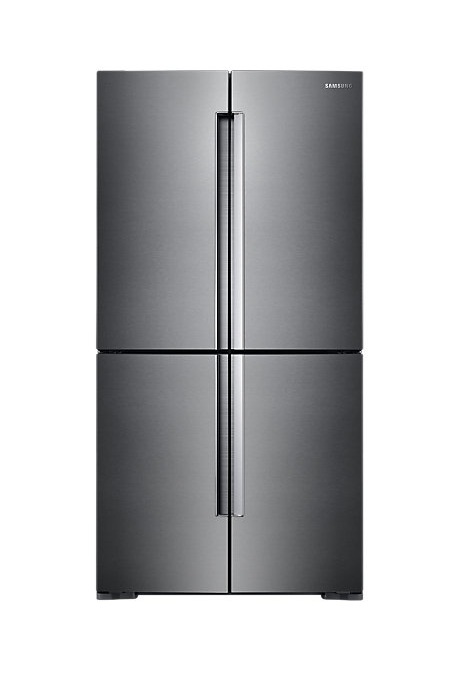 The lowest price GetPrice has found for the Samsung SRF714NCDBLS Refrigerator in Australia is $2,699.00 from David Jones . Other merchants who stock it are David Jones , Billy Guyatts, Bing Lee, Appliances Online.